“The Best Sculptor” is how Jan II Borman (sometimes also referred to as “the Great”) is described in a document dating from 1511. That was when he was hired by the Burgundian court to make wooden models for the bronze statues which were to stand on the enclosure of the Baliënhof, the new courtyardin front of Coudenberg Palace. In the art-historical literature, however, Borman the man and his oeuvre are shrouded in mist. Indeed, the fact that the ‘Borman’ designation was not restricted to a single person, maker or hand often makes the work difficult to fathom. This late-medieval sculptor headed up a busy workshop in Brussels with commissions pouring in from religious institutions as well as from the bourgeoisie and princely rulers. He trained his sons Jan III and Passchier to become master sculptors after his own example and to have at least as shrewd a head for business as he himself had. Though relatively unknown to date, his impressive and eclectic output includes iconic works like the St George retable (Royal Museums of Art and History, Brussels), the tombs of Mary of Burgundy and Isabella of Bourbon (Church of Our Lady in Bruges and Antwerp Cathedral respectively) and the Triumphal Cross ensemble in St Peter’s Church in Leuven. Jan Borman is for Brabantine sculpture what Rogier van der Weyden is for painting. The two artists even worked together, albeit indirectly. Borman was a virtuoso, a master but above all an innovator, who optimized the practice of producing sculptures in series without in any way detracting from their quality. This explains the importance of the workshop from an art-historical viewpoint. Hence, too, the presence of works by Jan Borman on permanent display in museums like the Louvre and Musée Cluny in Paris, The Metropolitan Museum of Art and The Cloisters in New York, the Rijksmuseum in Amsterdam and the Staatliche Kunstsammelungen in Berlin, where they are invariably the highlight of the Middle Ages section. 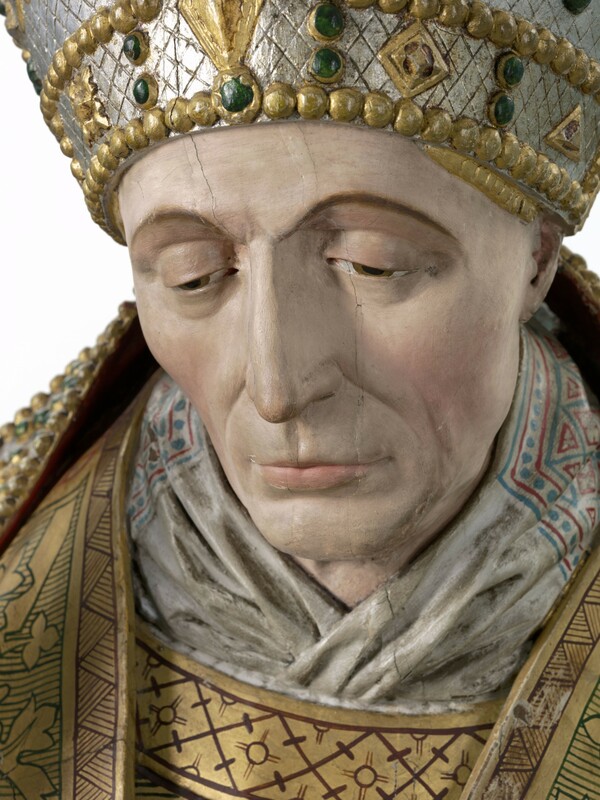 It is high time the general public became acquainted with this dynasty of sculptors and their oeuvre,so in the autumn of 2019 M – Museum Leuven is mounting the very first (!) retrospective of the Borman phenomenon. The exhibition will endeavour to create order in the chaos and thus disperse the mist surrounding attributions to the Borman name.